Daniela Ryf, another raw diamond from Switzerland in the hands of coach Brett Sutton is ready for a serious attempt to win the 2015 Ironman Hawaii World Championship title in her 5th Ironman race. Coming from Olympic distance racing, where she faced skinny and very light athletes optimized for swim-runn performances the young swiss athlete was trapped in the whole bodyweight-power-ratio mindset leading into these races. Switching coaches opened opportunities to rethink goals and strategies. 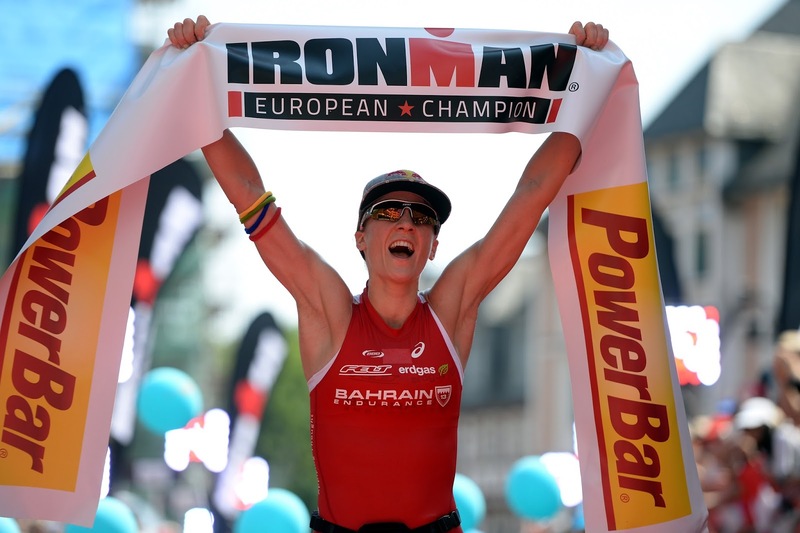 One result is the Ironman European Championship title from last sunday in record breaking time. Ryf proved on 5. July 2015 in Frankfurt am Main, that she is ready to follow the likes of Chrissie Wellington and is able to perform in extreme hot conditions. She was able to crack the course record in Frankfurt from a time, Wellington was close but not on top of her peak perfomances and so is the strong biker. Solid on the swim, very strong on the bike her "weak" discipline, the run is improving very fast. She was able to nail with temperature up to 40°C the very first time in an Ironman her nutrition. This gave her enough opportunities to tackle the course record, even this goal was forbidden in the earlier stages of the race by her coach. He was afraid, that an all out performance in these conditions relatively close to Ironman Hawaii World Championship would compromise her build-up and race in Kona. Communicating in the last quarter of the marathon the gun went off a second time the last 5k grabbing that record. Ryf, only beaten in Kona 2014 in all major races she attended, will be strong and a serious contender for defending champion Mirinda Carfrae and all the other podium candidates like Julia Gajer, who had a stellar performance as well, but has yet to prove she can ride a bike on a Kona day with gutsy head- and crosswinds.